From 23 – 26 June 2016, PASS descended on Freedom Park in Lagos, as part of Goethe Institute’s Lagos_Live 2016 festival. The PASS Lagos sessions brought together a broad spectrum of artists, performers, writers and musicians, whose practices draw from a variety of contexts, to participate through conversations, performances and happenings that provoke us to rethink about our histories and to speculate on our futures through artistic and cultural practice. The PASS Lagos sessions were part of Chimurenga’s ongoing exploration into the festival as political act – from the “festival decade” of 1966-77 when pan African festivals in Dakar, Algiers, Lagos and Kinshasa functioned as laboratories for the development of new, continent-wide politics and cultures, and presented a shared vision of an Africa yet to come. The PASS Lagos sessions were programmed by Chimurenga, in collaboration with Dagga Tolar with Ajengule House of Poetry, Salam Salam Agidigbe Band, Ade Bantu, Jahman Anikulapo with Benson Idonije, Molara Wood, Temitope Kogbe, Cosmic Yoruba with Dammy Busari and Ashiwel, Tamerri Collective, Ameru JahFlame, Tam Fiofori with Funsho Ogundipe and Ayetoro, Ore Disu with Olamide Udo-Udoma, Deji Toye with Segun Adefila and Wole Oguntokfun, Akintayo Abodunrin, Qudus Onikeku with Tunde Jegede and Efe Paul, Oris Aigbokhaevbolo and Dami Ajayi, Jumoke Verrisimo with Awoko, and many, many more. 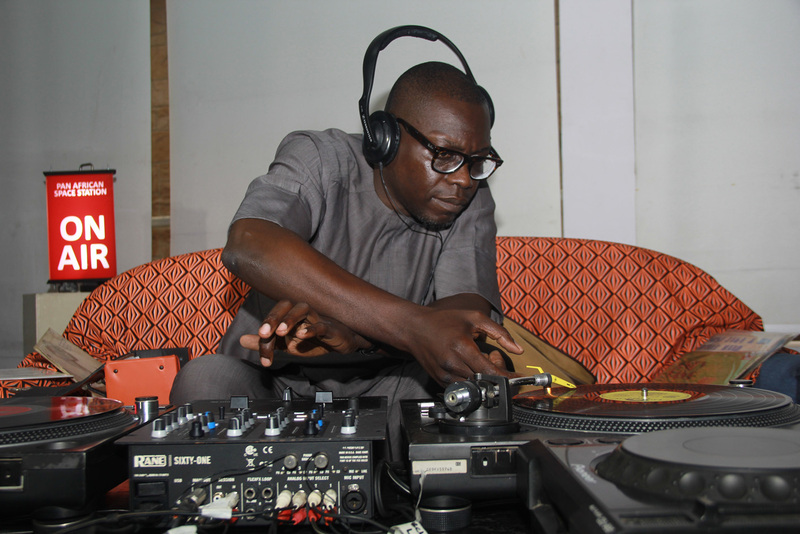 To listen to recordings from PASS Lagos, visit our Mixcloud. Category: News, Pass Pop-up | Tags: PASS Lagos, PASS Pop-up | Bookmark: permalink.